If your high electricity bills are giving you headaches, there are alternatives that you can opt for. Across the globe, the solar energy is making its mark as it is almost free, superior and easily available to the people. It is an eco-friendly option for energy and can be used to gain some exceptional benefits. However, as it seems, there is still a barrier of unawareness and lack of knowledge that does not allow mindsets of people to opt for the solar energy wholeheartedly. If you search on the internet or your local business directory, you will find many professionals offering services of installation of solar panels in California and other cities of the USA. You can hire anyone by considering experience and expertise. Before hiring, gaining some knowledge about solar energy and how it works won’t hurt. How Does The Solar Energy Works? The solar energy is a great source of energy that uses the photovoltaic system to create electricity. 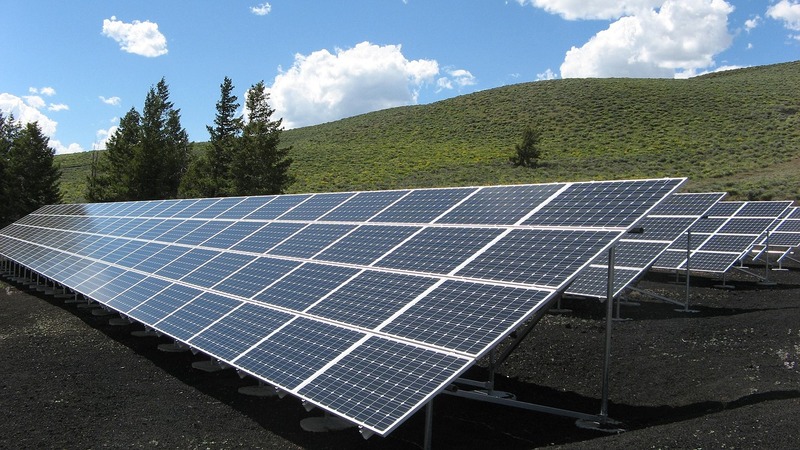 It has a very simple mechanism the panels and inverters are used to generate electricity. The sunlight is absorbed by the solar panels where the silicon conductors transform the light into direct current (D.C.) which is redirected to the inverter and the inverter converts D.C. into an alternate current (A.C.) that can be used in the house. That’s not the end, you can also be paid for the excess of electricity generated which is then sent to the grid or can be stored in the battery system. While installing solar panels, you need to ensure that it is installed at a place where the sunlight is maximum throughout the day. Also, there should not be any barrier to the sunlight on the panels as that hurdle would accumulate less energy to the panels which would result in the insufficient electricity production. Though it is true that the solar light is a widely used resource of renewable energy, it may not work if there is no sunlight or very lesser light to convert the energy into electricity. Warranty: Check the warranty period and read all the clauses of the warranty contract accurately. If you find any clause missing or see any condition that may cause the warranty ineffective, make sure to remove the same before buying the solar panels. Check The Certification: When you land up at a company for the installation of the solar system, you need to make sure that you have chosen the one that is accredited and trustworthy. Check the certification and the testimonials vigilantly that would give you an idea whether you should go for the said company or not. Installation Measures: Before the solar power system installation, you need to make sure that the best angles have figured out after a thorough inspection of the roof. It should further be checked that the roof is strong enough to bear the burden of the panels. Apart from the above points, you should also consider the type of panel you need to install and the efficiency of the same. We believe, the above article will be helpful to you to get the most efficient solar system for your home. Don’t wait any further, bring it system home today and save an enormous amount of money on your utility bill from day one.